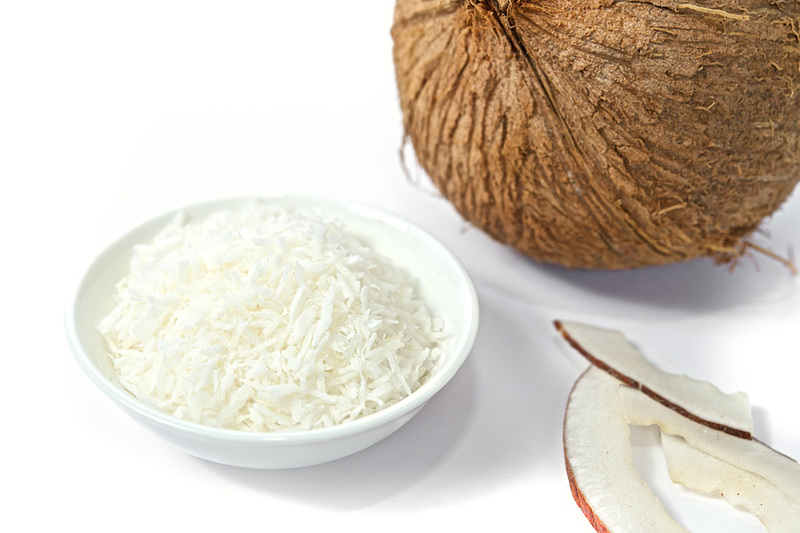 We all get a little nutty when coconut is anywhere on the menu. We love it in every form. A short new recipe will only make you love coconuts even more. Coconut Red Lentil Soup – Ever added coconut milk to your favorite dal? 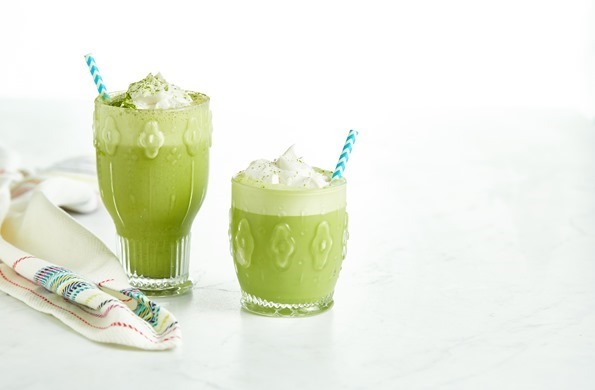 This tastes just the same (with extra coconut milk). 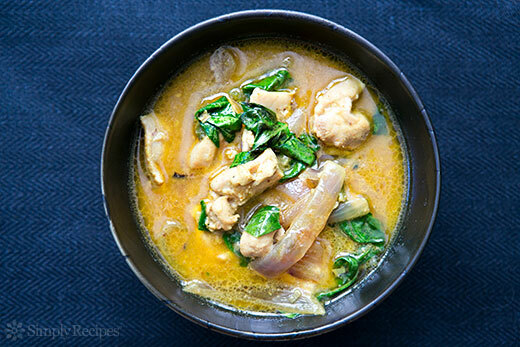 Basil Chicken In Coconut Curry Sauce – We already love chicken in coconut milk. Surely can’t wait to try this recipe! 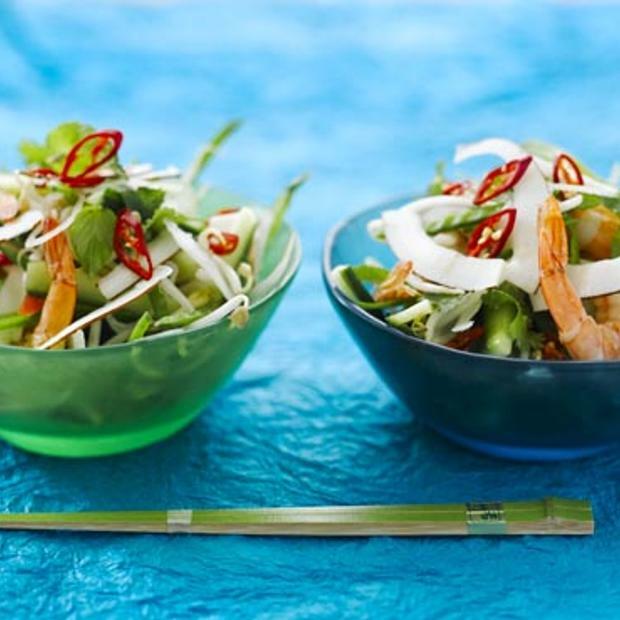 Spicy Prawn And Coconut Salad – Addition of fresh grated coconut to this dish makes this salad taste like HEAVEN! 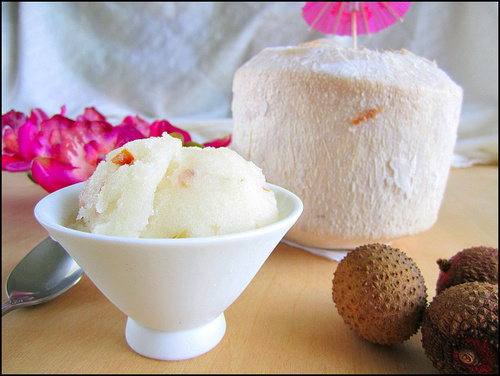 Coconut And Lychee Sorbet – Sweet and refreshing! How did you not think of using coconut to this recipe? Go try now! 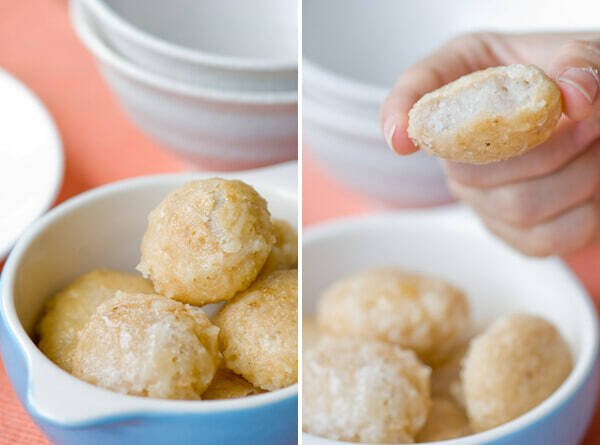 Glazed Rice Glutinous Cake – An Asian street food coated with coconut. Try it at home soon! 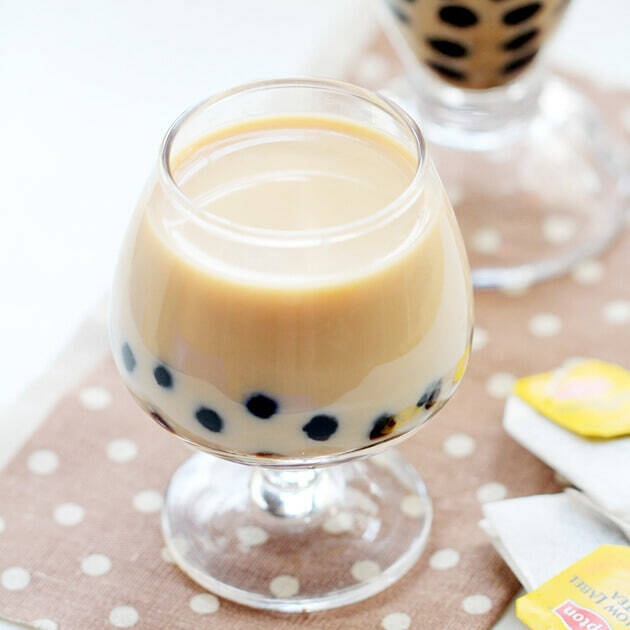 Brown Sugar And Coconut Bubble Tea – Too good to be true? Yeah! Definitely a must try. 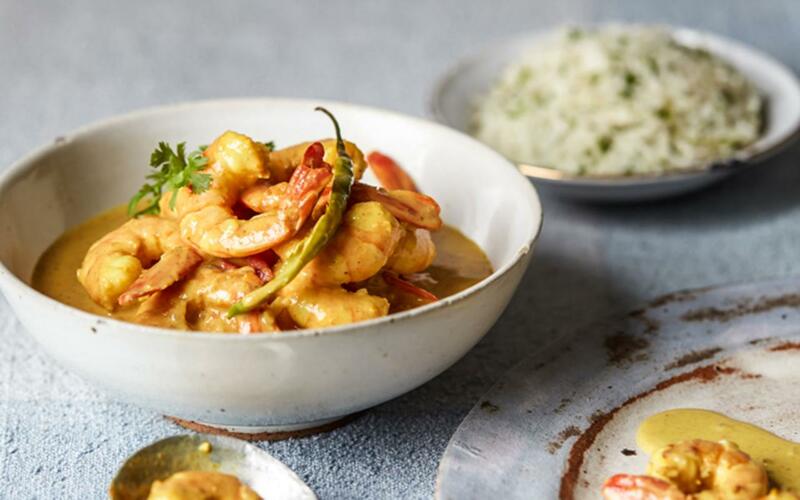 Goan Shrimp In Roasted Coconut – A South Indian dish that has a medley of spices tempered by roasted coconut. What’s stopping you? Look up for these lip-smacking recipes and try them soon!